Store Home » Carrier Oils » Watermelon Seed Oil » Botanical Beauty EGYPTIAN WATERMELON SEED OIL- Oil Of The Egyptian Kings. 100% Pure / Natural. Cold Pressed / Virgin / Undiluted Carrier Oil. For Face, Hair And Body. 15ml/0.5oz Best Selling Beauty Oil In Europe. 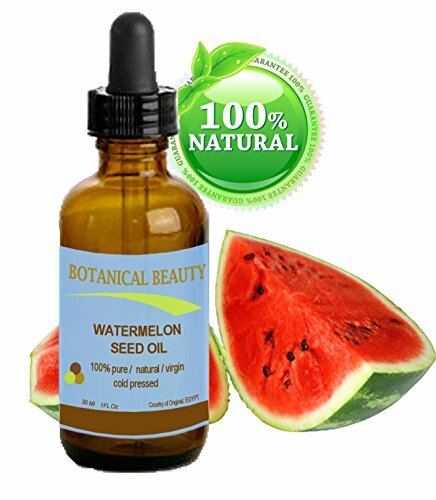 Botanical Beauty EGYPTIAN WATERMELON SEED OIL- Oil Of The Egyptian Kings. 100% Pure / Natural. Cold Pressed / Virgin / Undiluted Carrier Oil. For Face, Hair And Body. 15ml/0.5oz Best Selling Beauty Oil In Europe. Watermelon oil or Watermelon seed oil is also known as ootanga oil and kalahari oil. Africa is believed to be the place of origin of the atermelon. Historians trace its origin to the Kalahari Desert of Africa and hence watermelon got the name Kalahari. Watermelon seeds have been prized for the highly nutritive oil that they contain. The seeds are removed from the rind, washed thoroughly and are allowed to dry. Once dried, the seeds are then cold pressed to extract the beneficial oil. 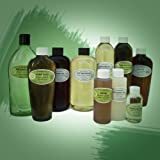 Watermelon seed oil contains high amounts of unsaturated fatty acids with linoleic and oleic acids as the major acids Watermelon seed oil is light, easily absorbed, does not clog pores and is rich in linoleic and oleic acids. It is recommended for use in skin care formulations for all skin types, including dry, oily, acne-prone or maturing skin. Watermelon seed oil is also a perfect choice for inclusion in hair care formulations as it is non-greasy yet highly moisturizing. 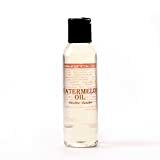 Watermelon seed oil is a highly salubrious and easily absorbing oil which works wonders for dry and damaged skin. It is high in antioxidants such as lycopene and works to prevent premature aging because it acts as a humectant (retaining moisture in the skin). It is an exceptionally emollient oil which infuses a silky glow to your face. Watermelon Carrier Oil - 250ml - 100% Pure Botanical name: Citrullus lanatus Extraction method: Steam distilled Description: Watermelon is commonly known as a popular summer fruit and is one of the most common types of melons. The oil, extracted from the seeds, contains a rich source of Beta-carotene, a powerful antioxidant and one of the most beneficial vitamins for the healing and repair of the skin. The high antioxidant content of Watermelon Oil may assist in reducing and combating the signs of premature ageing caused by environmental and lifestyle habits. Being naturally rich in other vitamins, minerals and fatty acids, Watermelon Oil is a popular ingredient in many skin care products. Its restorative, nourishing and oil balancing properties, help dissolve excess sebum build up, helping you maintain a clear and healthy complexion. Common uses: Watermelon Refined Oil is a very popular, all purpose carrier oil. It is used by manufacturers, aromatherapists, and massage therapists. Consistency: Typical and characteristic of carrier oils Absorption: Absorbs into skin at average speed, slight oil feeling left on skin.